When developing Arduino sketch, we all use Arduino IDE, anyway, there are several Arduino alternative IDE. This alternative IDEs are useful and more user-friendly. Arduino IDE is the first IDE we all use when approaching to Arduino development for the first time. It is simple and provides all the features to write, compile and upload the code to Arduino boards. It is based on Java and runs on Windows, OS X and Linux. Arduino IDE is a complete solution, anyway, it does not have all the features you could find in Eclipse or IntelliJ. I was looking for an Arduino alternative IDE that could provide a more “robust” IDE having, at the same time, all the features of Arduino IDE. 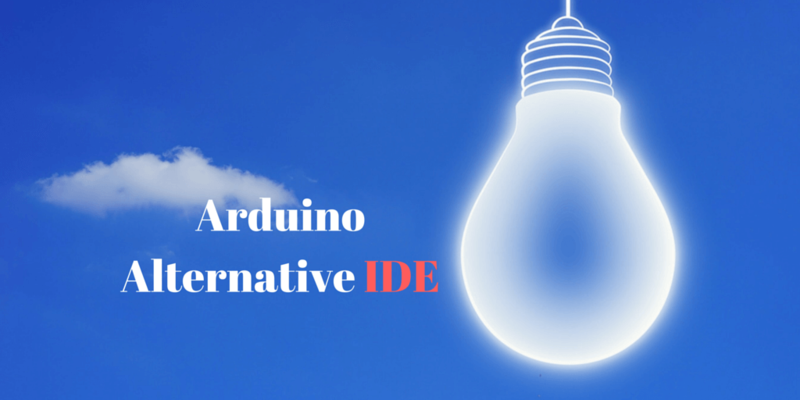 This Arduino alternative IDE must be free of charge and open source. Even if there are several options, I focused my attention on PlatformIO. 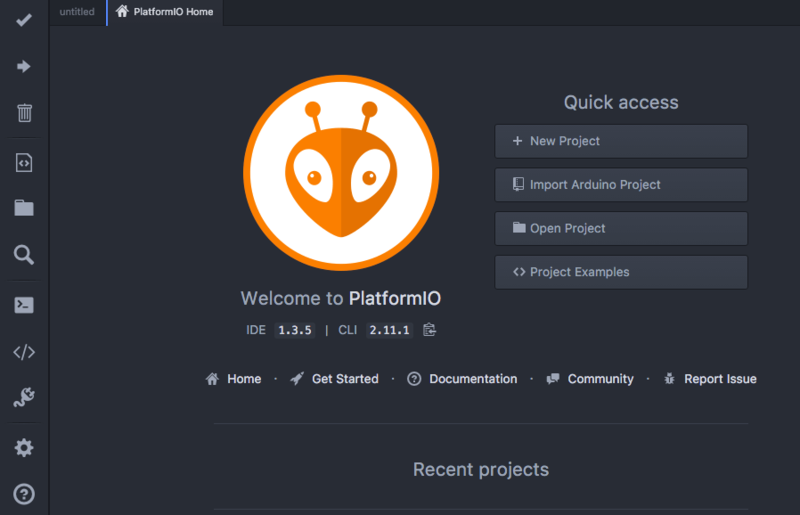 Platformio is an interesting alternative IDE that provides almost all the features I was looking for. First of all, it is opensource and you can find the source code at GitHub repository. Second, it is free to use and it has a large community that supports it. This is IDE has a clean and easy-to-use interface, very attractive. It offers not only a visual IDE to develop IoT projects but it has a CLI (Command Line Interface). It is based on Python and runs on different OS like Windows, OS X and Linux. This Arduino alternative IDE supports several boards like Arduino UNO, Arduino MKR1000 and in general Arduino development boards. Moreover, it supports Raspberry PI family and so on. So this is a complete solution to develop IoT projects in an easy and intuitive way. The interface is completely different compared to Arduino IDE. Now it is time to start using PlatformIO. The best way to test is building a simple Arduino project. Implementing a simple project helps us to evaluate this IoT IDE and, at the same time, we can check if it is a real improvement compared to Arduino IDE. As a project, we will build a simple RGB led controlled by Arduino. We won’t cover the details of this project because we have already described it. What we want to verify is how we can build a project, how to upload it and how easy is using the IDE. The first thing, you should notice, is the code completion: this is a very useful feature. The syntax highlighting is also attractive and help to emphasize language keywords. where 19 is the library id. The library is ready to use. 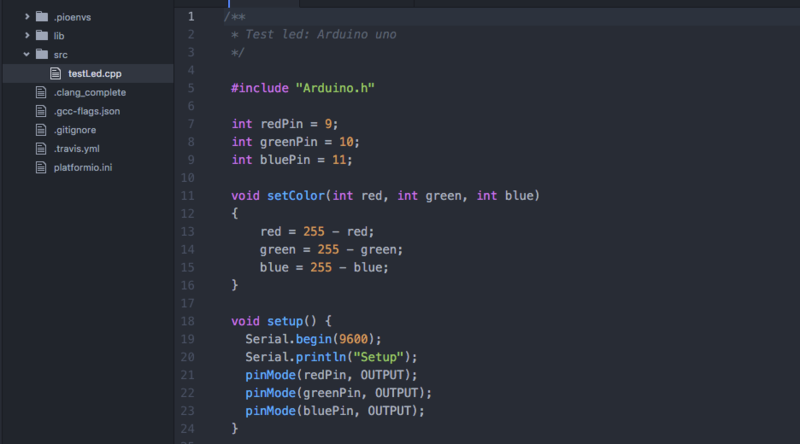 At the end of this post, you hopefully know an Arduino alternative IDE.